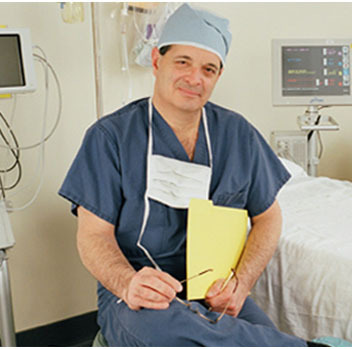 Dr. Steven Jacobs has been a practicing neurosurgeon for over 25 years and has one of the busiest practices in New York. His practice continues to grow because he has earned the reputation of being a superb neurosurgeon who is able to help patients feel at ease. Dr. Jacobs received his bachelors degree from the University of California at Berkeley. He then completed an MD/Ph.D program at the State University of New York, Buffalo. Dr. Jacobs then did his neurosurgery residency training at the University of Iowa Hospitals and Clinics which is the largest teaching hospital in the United States. During his residency he was one of two neurosurgery residents chosen nationally to complete a fellowship at the NIH (National Institutes of Health). Dr. Jacobs has published numerous research articles in some of the world’s most prestigious journals and has been an invited speaker at medical conferences both in the United States and abroad (see Dr. Steven Jacobs’ CV by clicking below). He holds a US patent for developing a new treatment for brain cancer and was formerly CEO of Isotron Inc.